Is McDonald's Monopoly Game Just a Scam? Have you heard that the Monopoly Game at McDonald's is a scam, or that it is rigged so that only McDonald's employees can win the big prizes? Ever wondered whether the rumors are true, or if you'd be better off not even trying to win the game? McDonald's Monopoly Game is not a scam. It's a legitimate sweepstakes that offers chances to win big prizes worth up to a million dollars. McDonald's Monopoly gives away lots of other prizes as well, like free food, small cash prizes, gift cards, product coupons, and more. So why does the McDonald's game have a bad reputation? 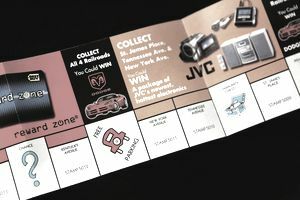 McDonald's Monopoly Game's good reputation was tarnished by a scam that took place during the late 90s through the early 2000s. During that time, McDonald's hired Simon Marketing, Inc. to administrate its sweepstakes. A sweepstakes administrator's job is to provide expertise in running giveaways fairly while providing additional protection against fraud. A company cannot be accused of favoring particular winners if it is not involved in the prize award process. Unfortunately, in this case, an employee at Simon Marketing was corrupt. From 1995 through 2000, Simon Marketing's security director, Jerome Jacobson, abused his position to steal the top game pieces from the Monopoly Game, as well as other McDonald's promotions. He then sold the winning tickets or distributed them to people he knew for a share of the loot. By misusing his trusted position, Jacobson embezzled $13 million dollars from McDonald's and denied prizes to rightful winners. Unexpectedly, a little bit of good came from the scam. One of the stolen million-dollar game pieces was donated to St. Jude's Children's Research Hospital. Even after McDonald's realized that the piece had been stolen, they still honored the donation to help sick children. Though the scam ran for several years, it was eventually uncovered. The FBI investigated the scandal, and Jacobson and eight of his co-conspirators were caught, convicted, and sent to jail. Although it involved their giveaway, McDonald's was a victim of this scandal and not a perpetrator. No McDonald's employees were involved in the scam, and no problems have surfaced in recent years. After the scandal came to light, McDonald's fired Simon Marketing and put a number of new security measures in place. McDonald's has a rigorous and thorough security protocol in place for running the 2009 McDonald's Monopoly Game at McDonald's, from Game Piece production and application, to secure warehousing, shipping, and distribution in the restaurants. McDonald's security protocol touches every individual associated with the 2009 Monopoly Game at McDonald's. McDonald's wasn't the only firm to stop using Simon Marketing to run their giveaways. Nearly overnight the company, which had been in business since 1976, lost about 75% of its revenues as other big brands rushed to distance themselves from the scandal. While the Monopoly game is legitimate, like many other big giveaways, it can be a target of sweepstakes scammershttps://www.thebalanceeveryday.com/how-to-recognize-publishers-clearing-house-scams-896723. For example, a scam that pops up year after year involves game piece trading, which McDonald's has prohibited in order to protect potential victims. Read Beware of McDonald's Monopoly Game Piece Trading Scams for more information. If It&apos;s Not a Scam, Why Don&apos;t You Hear About More People Winning the McDonald&apos;s Monopoly Game? The prizes in McDonald's Monopoly Game are legit and distributed to the public. Every year, thousands of people win smaller prizes like gift cards, free food, and more, but the big prizes are handed out as well. For an example, check out this interview with a $100,000 McDonald's Monopoly winner. But even though those big prizes are legitimate, they are not easy to win. The game pieces for the big prizes are very hard to get. For example, the odds of winning the million-dollar Monopoly prize in 2009 were 1 in more than 542 million. And that's assuming that the one elusive game piece you need for that million dollars isn't lost or thrown away. To see how close you are to winning a big prize, check out the Rare McDonald's Game Pieces. Just because the chances of winning a million dollars are extremely long, however, it doesn't mean that the McDonald's Monopoly Game is a waste of time. Tons of prizes are given away, from free fries to trips and electronics. And if you don't want to buy McDonald's food, you can always send away for free game pieces by mail. Want to get more information about how to win sweepstakes, news about McDonald's Monopoly sweepstakes when they kick off, and other winning tips? Sign up for my free sweepstakes newsletter! Do You Know About this Common McDonald's Monopoly Scam? Stop! Read This List Before Trashing Your Monopoly Game Pieces!